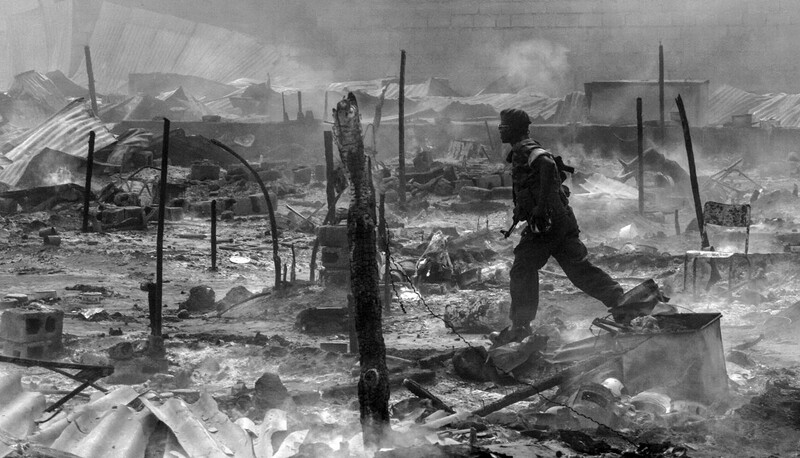 A soldier run through charred remains of the military barracks belong to the armed men belongs to Jean Pierre Bemba, presidential candiate, July 27 2006. Thus the tension is high in the capital ahead of the presidential election. Bemba accused Kabia of the arson of the camp.